Located outside the bustling metropolitan area of Atlanta, Georgia, Cherokee County is a diverse community of approximately 230,000 residents. For citizens who call Cherokee County home, the Cherokee Recreation & Parks Agency (CRPA) is the principal provider of parks and recreation facilities and programs. With a mission of enhancing the quality of life for Cherokee County residents by providing programs that promote healthy lifestyles and an active community, the administrative team in Cherokee has set lofty goals. It has committed to offering a variety of youth and adult programs, continual access to community resources, and year-round classes and leagues. Add to that the management of 21 parks that encompass more than 2,260 acres and include 37 baseball/softball fields, 24 multipurpose fields, 20 tennis courts, 16 playgrounds and more than 34 miles of trails, and the administrative team in Cherokee never has an off season. In 2003, the leadership team at CRPA realized that to properly manage the logistics of such a wide scope of operations, and to keep up with the then burgeoning trend toward online self-service integrations, they needed to go digital. 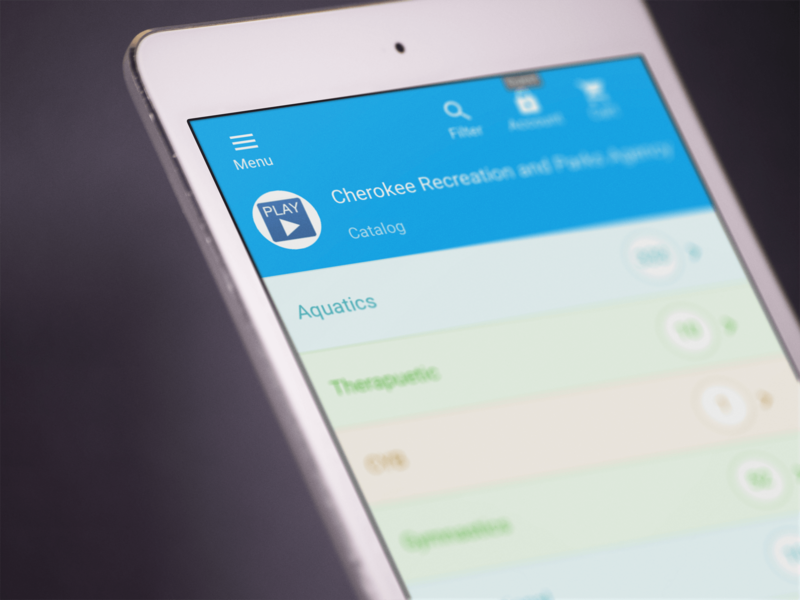 CRPA made the decision to partner with recreation management software provider Rec1 (now CivicRec), to transform its paper-based systems into a streamlined, digital solution. Fourteen years later, CRPA is still relying on Rec1 to continually evolve its software to meet the evolving needs of its community. Before CRPA transitioned to a digital recreation management software solution, all its activities, class registrations, and participant information was stored using a paper-based system. Seeing the public sector’s growing trend toward offering citizens digital self-service solutions, and wanting to increase community engagement, CRPA chose to partner with Rec1, a company that, at the time, was itself relatively new to the recreation management software space. When initially implemented, the team at CRPA took the pragmatic approach to roll out the modules of the Rec1 software slowly, allowing its internal team time to become more familiar with the software to ensure success both from an administrative, and a citizen engagement perspective. Motiejunas’ phased approach was successful, and led to immediate improvements in her team’s organizational efficiency. Over its 14-year partnership with Rec1, CRPA has continued to adopt newly released modules of the recreation management software, continually leveraging the evolving platform, as the department’s own needs have evolved and changed. According to Motiejunas, today, Rec1 even allows it to fully manage its complex youth day camp programs. For Motiejunas, such client-partner collaboration has always been one of the unique, differentiators of Rec1. “It’s clear to us that Rec1 has always been willing to listen to the recreation professionals that they work with. It’s that type of collaboration that has allowed us both to grow. Rec1 has always been willing to listen to our needs and understand the features and functionality that we need." Motiejunas and her team of 33 full-time staff members have made a commitment to the citizens of Cherokee County to constantly evolve to ensure their programs are meeting the community’s needs. Motiejunas explains that they are finalizing a ten-year master plan strategic initiative, having spent eight months gaining citizen insights from focus groups, online surveys, and town hall meetings. As CRPA works to constantly exceed its community’s expectations, they expect to continue to leverage the vast capabilities of the Rec1 recreation management solution. “As much as we use the Rec1 system, we know we are only scratching the surface of its full capabilities,” said Motiejunas. When thinking about the value that the Rec1 solution has brought to CRPA, Motiejunas points to its comprehensive system functionality, and price. Click below to learn more information about CivicRec powered by Rec1, and how it can help your community streamline your processes with a robust recreation management software solution.